Modern life offers an extraordinary variety of working opportunities – perhaps more than at any time in history. But given their perceived need for control and desire that their people remain accountable, many workplaces oblige their employees to implement sometimes rigid working routines. This isn’t a problem until employees are faced by something out of the ordinary. When we’re able to be more mindful at work, we’re better able to navigate the often complex world of work. Day-to-day jobs can often encourage mindlessness in employees. It’s easy to treat repetitive tasks as routine, and perform them on automatic pilot. This allows our minds to wander, and a wandering mind is an unhappy mind – either drifting into the past and remembering, or looking to the future and becoming lost in anticipation. If this sounds like you, try bringing your focus back to the task at hand, even if it’s one you’ve performed a hundred times. Focusing on the immediate will stop your mind from entering a spiral of reinforcing anxiety. Staying mindful at work will mean that when a complex issue does present itself, you’ll be refreshed and eager to tackle it. Practicing mindfulness at work actually helps us pay attention. When you’re stuck in your routine, as Ellen Langer notes, you’re trying to control the world around you. This makes it unpleasant when a manager offers critique or even just asks you to perform a different task – they’re unknowingly infringing on your control. Mindfulness at work makes it easier to innovate and seize opportunity – at least to some extent. A mindful employee performing a task might realise a better way of doing it, rather than ignoring it and watching the clock until it’s time to go home. The organisation benefits and the employee increases their self-worth and job satisfaction. Also known as ‘living for the weekend’, this is the idea that you shouldn’t commit too hard to work. The thinking is that by working too hard, you neglect your ‘real’ life. This is a fallacy, and one that costs employees their happiness and robs them of productivity. By being more mindful, more alive at work, we can come to treat everything in the present with the same importance. How can we expect to enjoy balance if we treat work as a routine to be overcome? What’s more, it means we don’t enjoy our life outside work, since our minds will continually wander to think about the future. A future back at work, where we wait for the day to be over. With mindfulness, we can focus on what’s in front of us. Whether in our home or work life, we are present and aware. Events that shake us from our routine shouldn’t be feared. 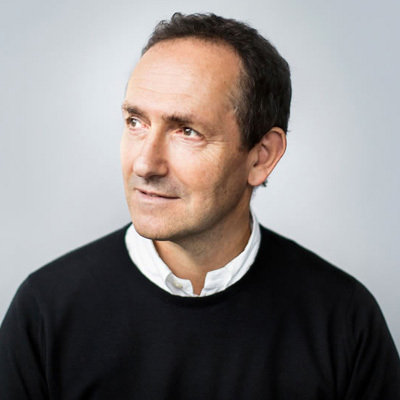 Based in Cambridge, Michael is the CEO of Mindfulness Works Ltd. and a pioneer in the application of mindfulness to leadership and workplace contexts. He is an adjunct professor at IE Business School in Madrid and a Professor of Practice adjunct at Ashridge Executive Education at Hult International Business School.